We offer an ECO-FRIENDLY for antifouling paint removal. Our process is non-toxic, DUST FREE and can be used virtually anywhere. It is much faster and cleaner than any other methods. The Hardest Job On The Boat Could Be The Easiest. 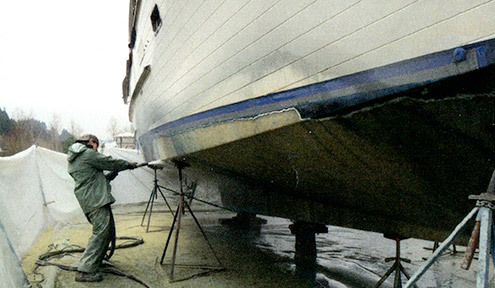 We can remove anti-fouling paint from fiberglass, aluminum, and steel boats quickly and safely. 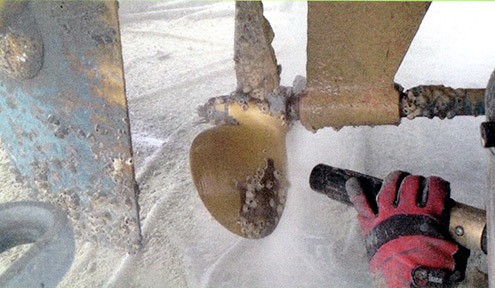 The water in our blasting system suppresses airborne dust, drastically reducing environmental impact. We also use recylcled glass abrasive which is 100% environmentally inert, and safe for bystanders.